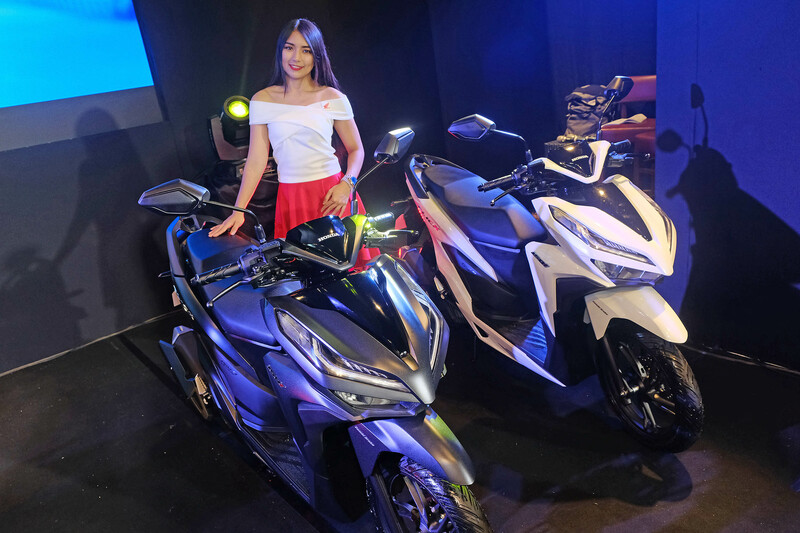 Honda Philippines Inc. (HPI) officially unveils its new premium and modern sports automatic motorcycles (AT) held at TGIFridays, SM Mall of Asia in Pasay City. 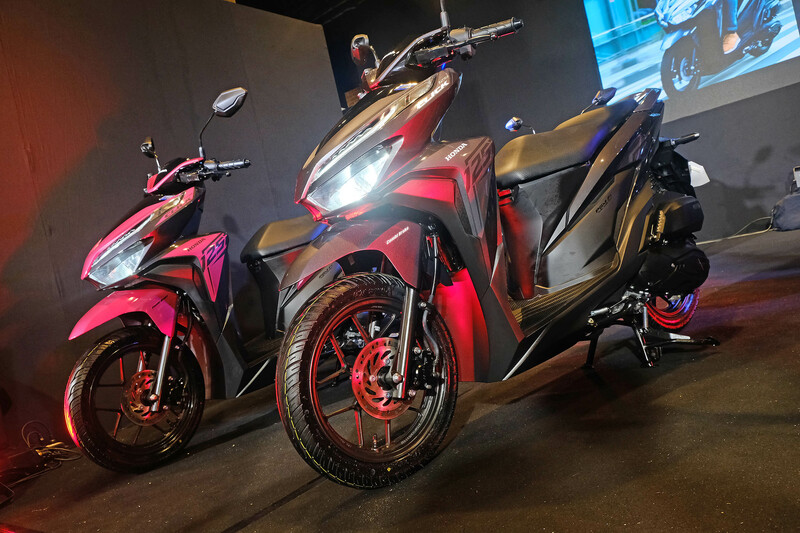 The all-new CLICK 125i and CLICK 150i is Honda’s claimed to be the Game Changer for Filipino riders. 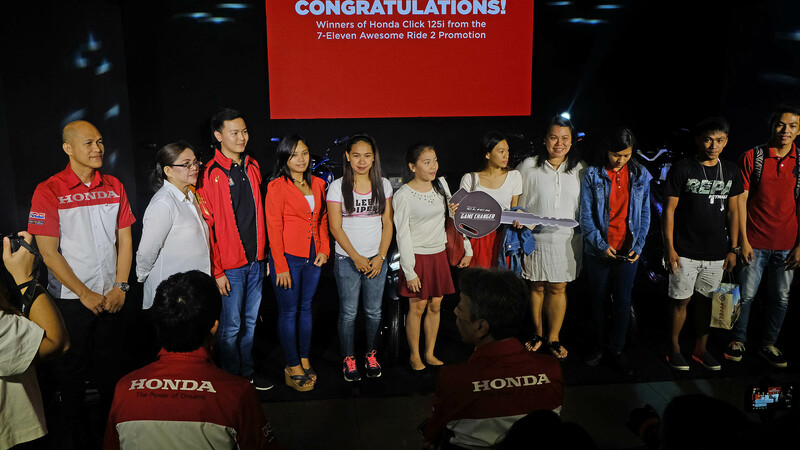 With the new Click models it is attuned to Honda Philippines’ ONE DREAM campaign, which aims to reach out to more Filipinos through their interests. with the message that Honda is part of their journey towards their dreams. The new CLICK 125i and 150i will be available starting September this year at all Honda dealership and authorized dealer partners nationwide. The All-New CLlCK125i comes in four modern color variants, namely the Anchor Gray Metallic. Vivid Blue Metallic, Nitric Orange, and Space Magenta Metallic. Price starts at Php 74,900. Powered by a 1250c Liquid-cooled, PGM-Fl engine with Enhanced Smart Power and an ACG starter (Fuel efficient at 53 km/L). Combi Brake System and Park Brake Lock for safety features. Advanced full digital meter panel with real-time fuel consumption, battery and change oil indicator, trip meter, and digital clock. Modern bold decals design with sporty muffler design with aluminum end cap. All LED Lighting System (Dual Keen Headlight with position light, Tail Light, Front and Rear Winker). 18-Liter Ubox capable of storing a fulI-faced helmet or other riding necessities. “The launch of the new AT models marks our commitment to accompany Filipinos as they strive to achieve their dreams. 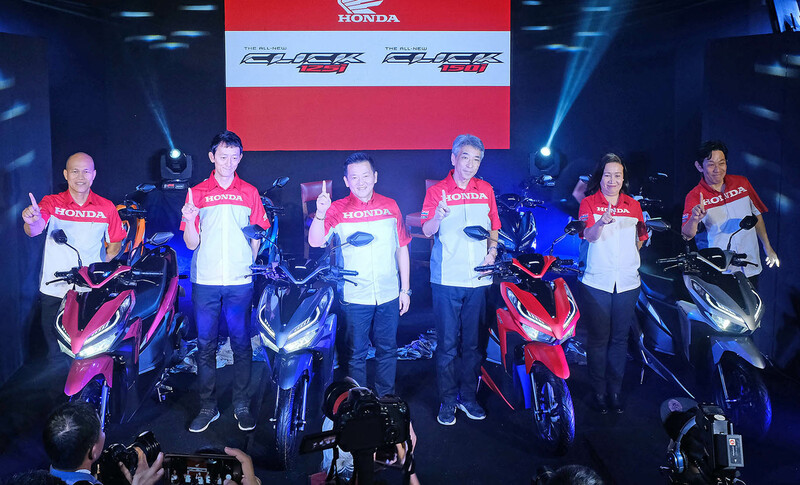 Honda will continue to make innovations that will bring a new level of riding experience to our customers.” – Mr. Jomel Jerezo, General Manager and Department Manager for Motorcycle Business Planning Department. The All-New CLlCK125i is available in four premium colors which are Matte Gunpowder Black Metallic, Matte Solar Red Metallic, Matte Crypton Silver Metallic, and Pearl Fadeless White with SRP of Php 95,900. 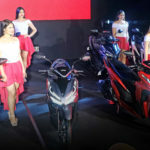 Built with a 150cc, Liquid~cooled, PGM-FI engine with Enhanced Smart Power and an ACG Starter and Idling Stop System (Fuel economy of 52km/L). Equipped with a full digital meter panel and an all LED Lighting. Exclusively comes with a 3D emblem proudly signifying its name. Smart Key System with keyless lock and unlock. ignition on/off, Anti-Theft Alarm and an Answer Back System. New sporty wheel design with wider tubeless tires, wavy disc brake and a sporty aluminium pillion steps. 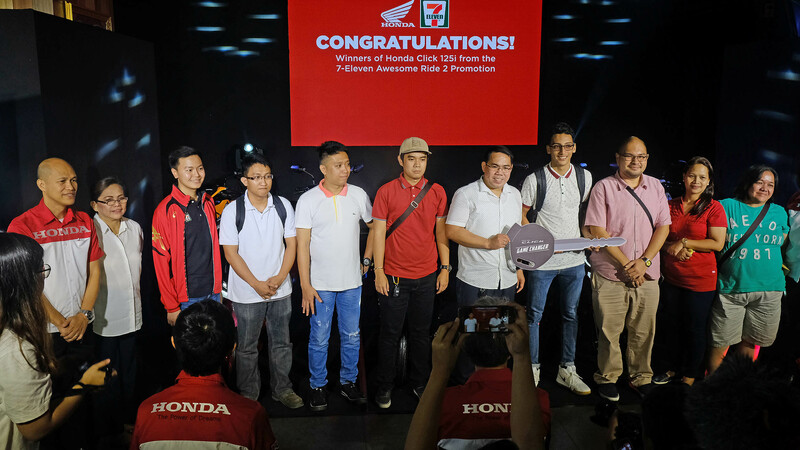 Aside from the launch, presented during the event are 56 lucky winners of the 7-Eleven Awesome Ride 2 promo to become the first owners to acquire the all-new Honda CLICK 125i.